A unique centre exclusive to Sacred Heart Schools that ensures our students are ready for the future. The brainchild of our Chief of Operations, Mr. Albin Anthony, Designhub is a one of a kind state-of-the-art laboratory that combines Robotics, Computer Programming, Music Production, Sound Engineering, Digital Design and 3D Printing all in one huge space. With specially designed curriculums for every standard and with some top of the line project partners – Designhub ensures that No Sacred Heartian is left behind when it comes to technology. Attached to the Lab is an absolutely World Class Manufacturing Facility Equipped with Laser Scanner, Fabricators. 3D Printers 150 KG. Payload Milling Robot From ABB which will mesmerize and enthrall students to push their boundaries of creative thinking, thereby leading to a Digitally Skilled India. GameMaker accommodates the creation of cross-platform and multi-genre video games using a custom drag-and-drop visual programming language. 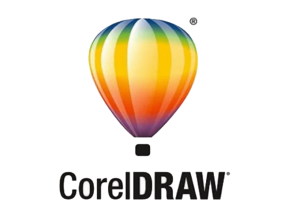 With the gamut of features presented in the Corel Draw Software Suite. Our Students learn the intricacies of graphic design – so as to be abke to design brochures, logos, advertisements, posters etc. Blender is a graphics software toolset used for 3D Development. By learning Blender, our students are able to create animated films, visual effects, art, 3D printed models, interactive 3D applications etc. 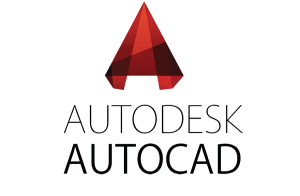 AutoCad – Computer-aided design software program to digitally draw, import, export and publish 2- and 3-dimensional designs. While this is a heavily used software in the engineering industry – Sacred Heartians are familiazrized with this Software at School level, thereby preparing them for their future. SketchUp is a 3D Modelling software originally introduced by Google. Sacred Heartians learn modeling projects like architectural, interior design, landscape architecture, and video game design. Not only this, we also leverage Cloud Computing – so that every project work done by our students is stored securely on the cloud and can be accessed anywhere. At Sacred Heart, we believe in pushing the boundaries. While everyone else sees children – we see potential designers, developers, architects, engineers, doctors and professionals in our students. Designhub is a testament to our belief in our students.